Fast facts about caffeine - 90% of us drink 3 cups of coffee per day here in the United States and caffeine is one of the world's most popular drugs and yet personally we know very little about this drug and its effect upon our body. Research has exposed 5 myths that are not true and 7 facts about caffeine that are true. The one question everyone wants to know is if caffeine can assist with weight loss. Let's set the fact straight about this common stimulant once and for all. Be your own health advocate - every one is different, listen to your body - your body is the only real expert on YOU! "Try limiting the amount of caffeine you drink to 200 milligrams a day — about the same amount as in two 12-ounce cups of brewed coffee. 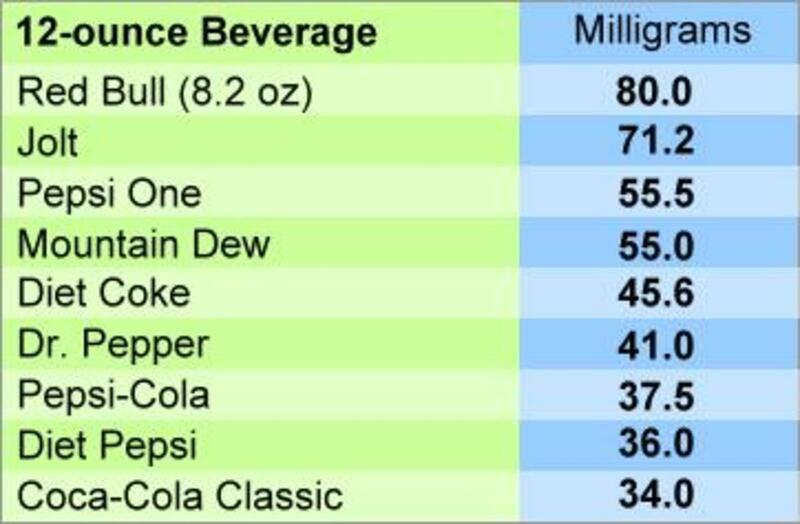 Keep in mind that the amount of caffeine in coffee and soft drinks varies by brand. Also, avoid caffeine right before activities that naturally increase your blood pressure, such as exercise, weightlifting or hard physical labor." 1. Check your blood pressure before consuming your favorite caffeinated drink. 2. Indulge in your favorite caffeinated drink. 3. Retake your blood pressure within 30 minutes of consumption. "If your blood pressure increases by five to 10 points, you may be sensitive to the blood pressure raising effects of caffeine. If you plan to reduce your intake of caffeine, do so gradually over several days to a week to avoid withdrawal headaches." Lower iron absorption - important for women, critical knowledge for pregnant women. Possible contributor to high blood pressure (take the test to see if you are a candidate). Not recommended for heart patients. Not recommended for fibromyalgia patients. Caffeine is undoubtedly addicting and mind altering. Caffeine has been categorized as a psychoactive drug. "Psychoactive drugs are chemical substances that affect the brain functioning causing changes in behavior, mood and consciousness.," according to psychology.about.com . Yet caffeine doesn't cause us social problems like other addictive drugs. 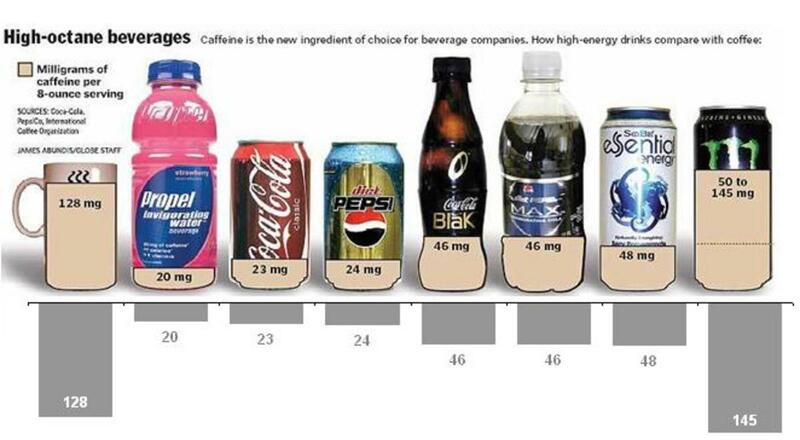 Caffeine in coffee is often slammed, yet the other choice for drinking sodas is even worst. The very best choice is of course, pure water. Second is tea. And long after all three of these water, tea and coffee is the drink that is the most addicting and perhaps the most harmful - soda. The side effects of sodas is much worse than our first three hydration options. So the good news for coffee lovers, is coffee is better than soda but as we all knew nothing is better than water for hydration. We know sugar in sodas have a direct link to both obesity and diabetes. We know phosphoric acid in soda may cause bone loss. We know some sodas have had traces of MSG, a neurotoxin. All sodas have carbonated water that often contains fluoride and other contaminants. Given this is the drug of choice for millions around the world, it is only fair that we expose both the myths and the truths about this commonplace drug. The standard in the United States for "decaffeinated is removal of 97% of caffeine". Research from Mayo Clinic has shown that caffeine may suppress your appetite for a very short period of time. However, there's not enough evidence to show the amount of appetite suppressant actually aids in weight loss over time. As an appetite suppressant, caffeine is not a recommended choice. Caffeine is a stimulant and may hinder your sleep and hamper your efforts to weight loss. Mayo also details that we must be aware that caffeine acts as a diuretic. Increasing the amount of urine we excrete may temporarily decrease our body weight along with expelling much needed vitamins and minerals. The big myth is the specialty coffees, we think we are suppressing our appetite when in reality we are consuming a large amount of calories. Read the labels, know what you and your family are actually consuming. Be your own health advocate. Counting calories and keeping a journal is just two great mechanisms to aid in your weight loss program. Read more: Is it true that coffee is an appetite suppressant? Part one is definitely not true - it is a myth. Being more alert is a partial myth - if you feel more alert - it is a temporary feeling and research is showing that it actually is a placebo effect - only think you are feeling more alert. The additional alertness is only temporary. Remember, your ability to process information is not changed. Even our temporary alertness has been refuted by scientists. A recent UK-led study of over 300 participants found our alertness is a placebo effect. In other words, caffeine makes us more alert is more imagined. source: Journal Neuropsychopharmacology June 2, 2010 Bristol University. "Our study shows that we don't gain an advantage from consuming caffeine - although we feel alerted by it, this is caffeine just bringing us back to normal." "On the other hand, while caffeine can increase anxiety, tolerance means that for most caffeine consumers this effect is negligible," he added. For the study, the researchers recruited 379 people of whom about half were classed as non or low coffee consumers, while the other half were classed as medium to high coffee consumers (a few large cups of filter coffee a day). But they found little variance among their levels of alertness when they consumed either caffeine or a placebo after not consuming it for 16 hours." Although, tea and coffee make up the majority of our digestion of caffeine, caffeine as we is also present in chocolate and also in energy drinks. Additionally, you will note that many headache medicines have caffeine. Personally, I grab a cup of coffee before an aspirin - now I know why! The big surprise in the list for me is the fact that the cosmetic industry uses caffeine to give our skin a lift! The debate on the cosmetic use is dependent upon if the caffeine is able to penetrate the skin cells. The range of cosmetic products that contains caffeine is surprising too - from body scrubs to eye creams to cellulite creams and gels and but we have learned that even gum on occasion has caffeine! When reviewing your exercise and weight loss needs, keep in mind, the crucial item is your Body Mass Index - the BMI index not just your weight. Where Do We Consume Caffeine? "There was a general agreement in the literature that when regular, heavy consumers (over three cups of coffee a day) wanted to use caffeine as an ergogenic aid, they should abstain from using caffeine for 48 hours prior to event loading. When the abstinence period was not observed, lipolysis and reaction times did not change due to the fact that in heavy, regular users the body builds up a tolerance." "Although touted as an almost miracle performance enhancer make no mistake about it, caffeine is not for everybody. Caffeine is a powerful central nervous system stimulant whose effects diminish with increased usage; Larger and larger doses can become necessary to avoid withdrawal symptoms and sustain stimulation until you need a cup just to function normally. To avoid this habituation drink caffeine only during or before races and training. Many road cyclists limit their caffeine consumption to a bottle of coke diluted with water during training rides and the last half of longer races or a cup of drip coffee half an hour before shorter races. The myths of caffeine as for athletic training have some basis in reality. 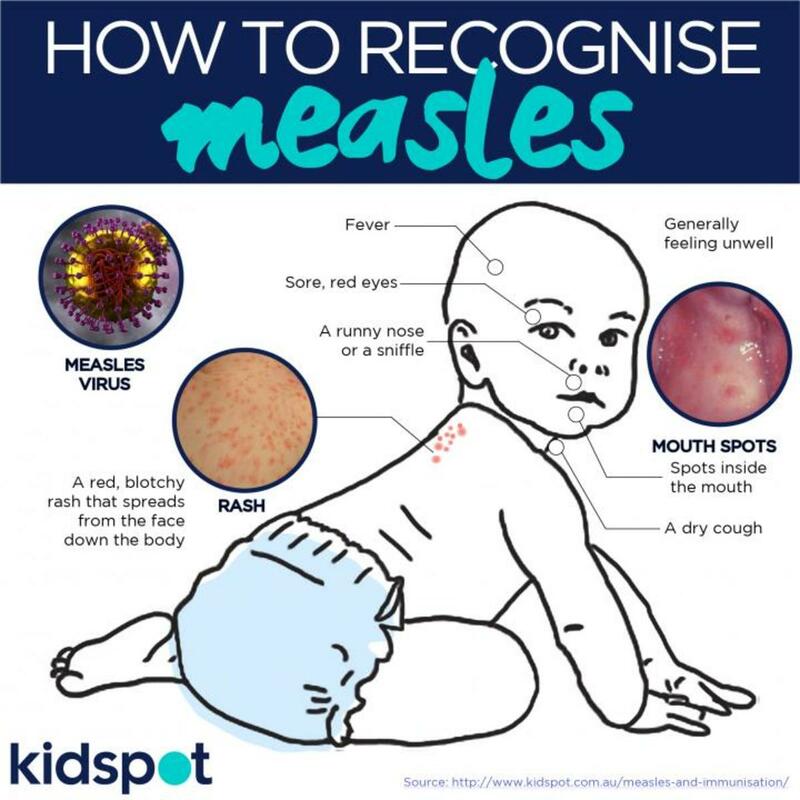 The truths below are proven with medical research and doctor recommendations. As in all cases, you are your own fitness and health advocate. I share these myths and truths for you to ask the questions with your own personal physician. The real truth is we must always ask the question and listen to our body. Likewise for iron absorption, caffeine has been found to inhibit the absorption. The details of the research are interesting, because we can stage or time the consumption of caffeine and thus lessen the absorption block of the iron and possibly other minerals. "When caffeine is consumed one hour before eating, iron absorption is not affected. So, if you must have tea or coffee, avoid having them with or just after your meals containing non-heme iron sources, such as iron-fortified cereals. This means waiting about 30 minutes after you finish your bowl of raisin bran before the morning coffee. However, combining plant sources of iron with foods high in vitamin C will help to increase your absorption of plant iron, so replace that coffee with orange juice or other citrus food and you are ready to roll. Clearly, the interactions and interrelationships between nutrients are complex and varied. It is nearly impossible to know everything a food item may interfere with for optimal metabolism and absorption of other nutrients. Just keep in mind that by eating a variety of foods and not overloading on one nutrient, you should be able to keep things in balance." For many people this is a truth. Like all things medical, it is best to listen to your body. There isn't sufficient research to tell us what causes a spike in blood pressure. One theory is caffeine could block a hormone that helps us keep our arteries widened. Also what is true many people develop an immunity to this spike in blood pressure. Many heart doctors as mentioned above also do not recommend caffeine because it may create arrhythmia. "By avoiding things such as caffeine, alcohol and candy, you will help to improve your sleep and lessen the severity of some of your symptoms. Eating healthy and maintaining a balanced diet can go a long way to symptom control. Also, try discussing the possibility of taking vitamins with your health care provider. Smoking is also something that magnifies the symptoms of fibromyalgia patients. By quitting you will be taking the first steps to living pain free. It is also very important to drink lots of water to help flush out the toxins from your body." Like all drugs, when taken in the wrong doses, the drug no longer is beneficial but a toxic substance affecting your bodily functions. The general rule is toxicity symptoms include In doses beyond 300 mg per day, However, every one is affected differently. The main item is to listen to your body. "How Much Caffeine is Too Much? 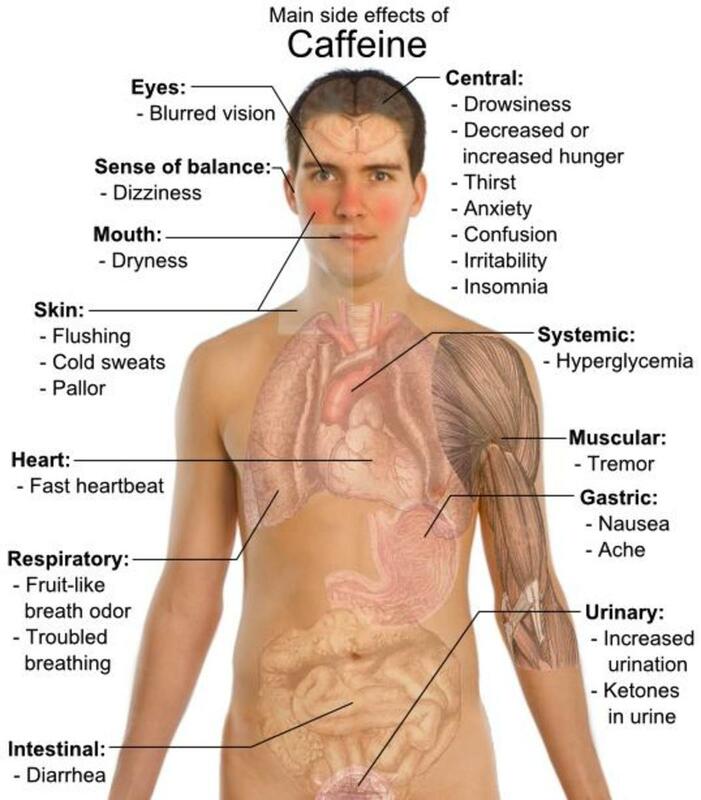 Caffeine intoxication usually occurs with consumption above 250mg (equivalent to about 2 1/2 cups of coffee). Caffeine is a central nervous system stimulant and may be taken to help restore mental alertness when unusual tiredness, weakness or drowsiness occurs. Caffeine's use as an alertness aid should be only occasional. It is not intended to replace sleep and should not be used regularly for this purpose. How to Diagnose Caffeine Intoxication? Very similar to mental disorders of Generalize Anxiety Disorders and Panic Attacks. Caffeine Intoxication can cause peptic ulcers and hematemesis. In addition to arrhythmia with extremely high doses, the substance can cause marked hypotension and circulatory failure." More than 1/2 cup consumption of coffee a day, for a pregnant woman is enough to raise the risk of miscarriage. "There's general agreement that pregnant women and those trying to conceive should avoid consuming large quantities of caffeine. But after decades of controversy and conflicting evidence, there's still no real consensus on how much caffeine is safe during pregnancy. The Journal of AMA in 1994 noted the relationship between caffeine and osteoporosis (calcium loss). Where Are We Consuming Caffeine? What Are Our Options? Before we get to truth number 7, let's examine our options. All too often when we speak of caffeine, we instantly think of only coffee and tea. Those are two of the most popular options, but caffeine is throughout our food supply. Sadly, the United States FDA does not mandate labeling so sometimes we are consuming caffeine and we may be completely unaware. To help us out, we have compiled a number of graphics which detail many of our favorites. Check our your favorites for the amount of caffeine you are consuming daily. You might be surprised to learn caffeine exists beyond a cup of tea, coffee or soda. Why isn't the amount of caffeine a product contains required on a food label? "The Nutrition Facts Panel on food labels is required to include recommended dietary information for nutrients. Caffeine is not a nutrient. It is a natural chemical found in such items as tea leaves, coffee beans, and cacao (used to make chocolate). If caffeine is added to a food, it must be included in the listing of ingredients required on food product labels. Caffeine is generally recognized as safe when used in cola-type beverages up to a level of 0.02 percent or 200 parts per million. The agency has notified nearly 30 manufacturers of certain alcoholic beverages containing added caffeine that it intends to look into the safety and legality of their products." 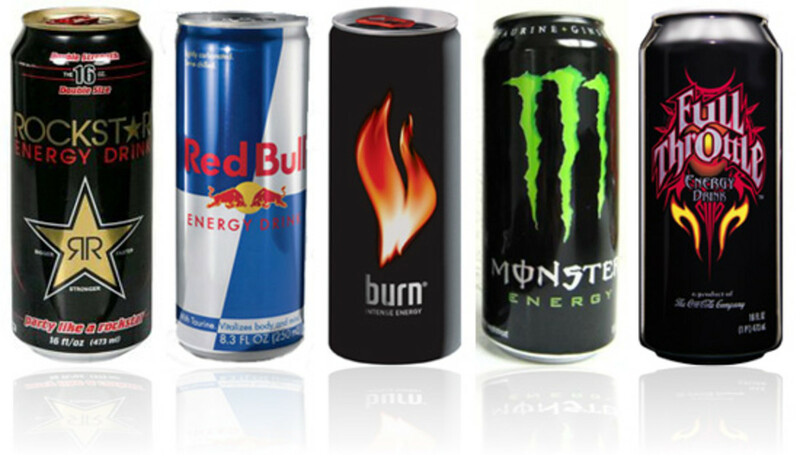 Energy drinks abound with caffeine. Likewise, energy bars are now including caffeine. NOS with 343mg (about 2-3 cups of coffee) of caffeine per 22oz (entire bottle), is truly an energy boost. In essence, our entire daily recommended allowance is in one 22 oz bottle. There is a smaller bottle of 11 oz. also available. Again portion control especially here in the United States is especially critical when consuming energy drinks such as NOS or even energy bars. The moral of the story - read the labels. In all fairness to NOS, the reviews all came up very favorable for both taste and energy. 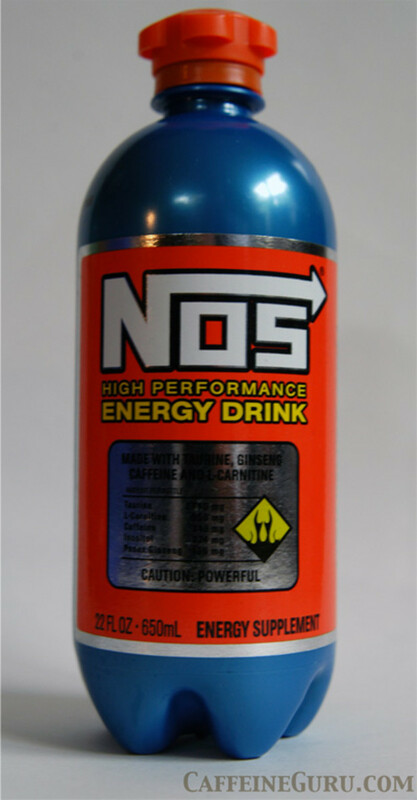 And look at the ingredients they added of B-Vitamins and Ginseng, etc... NOS does appear to be one of the highest horsepower energy drinks on the marketplace today. "If you're winking out, got to get on about, caffeine. If you're nodding off, take a drink, don't you scoff, caffeine. Look alive, look alive, look alive... caffeine. Got to get right up, got to down you a cup, caffeine. Get Colombian blend, so your waking won't end, caffeine. Be awake and wired, don't you get yourself fired, caffeine. Be awake all night, drink tomorrow, all right, caffeine. Look alive, look alive, look alive... caffeine." Mayo Clinic suggests avoiding caffeine "right before activities that naturally increase your blood pressure, such as exercise, weightlifting or hard physical labor." Caffeine was discovered not made. Caffeine was discovered by a "German chemist, Friedrich Ferdinand Runge, in 1819. He coined the term kaffein, a chemical compound in coffee (the German word for which is Kaffee), which in English became caffeine." Wikipedia continues to report that caffeine is a "bitter, white crystalline xanthine alkaloid that is a psychoactive stimulant drug." Caffeine can be found in beans, leaves and fruits of many plants. The research studies believe that caffeine is a "natural pesticide" that paralyzes and kills pests that pry on the plants. For coffee, caffeine resides in the bean. For tea, it is in the tea leaves from the tea bush. Other sources include guarana berries, Yaupon Holly, yerba mate and kola nut. 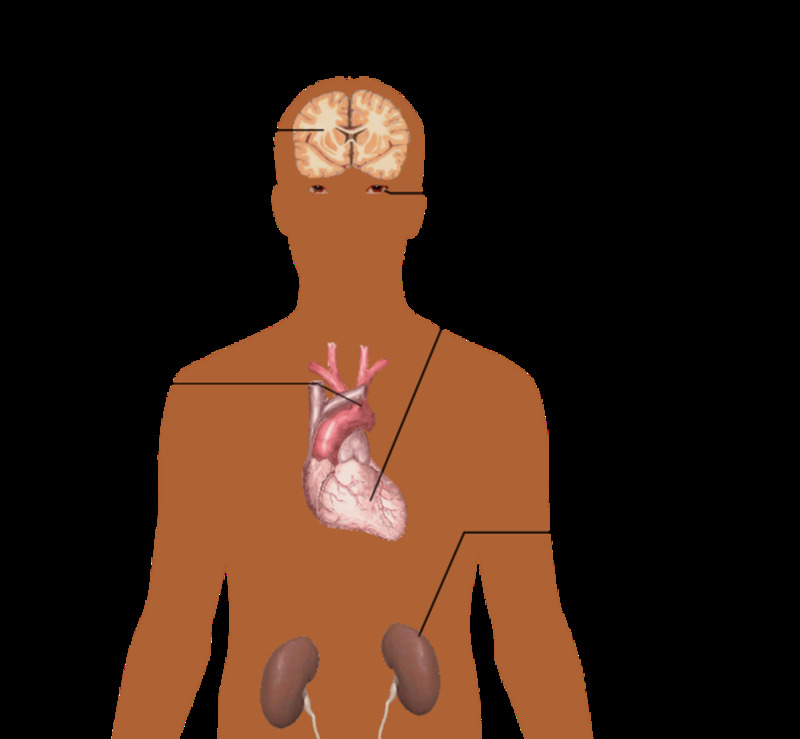 Caffeine affects the central nervous systems. The U.S. Food and Drug Administration (FDA) lists caffeine as a "multiple purpose generally recognized as safe food substance". Oh, my goodness! What an heirloom piece! FANTASTIC idea! I will have to plan for this for my grand children - love this idea! Thank you for sharing! Oh, too funny! You are delightful! 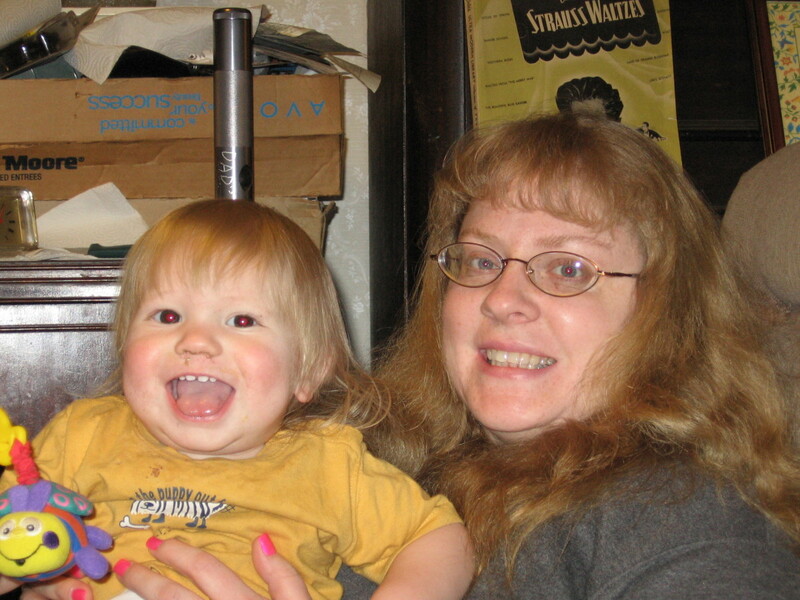 And yes, my morning coffee mug is in hand - as usual! 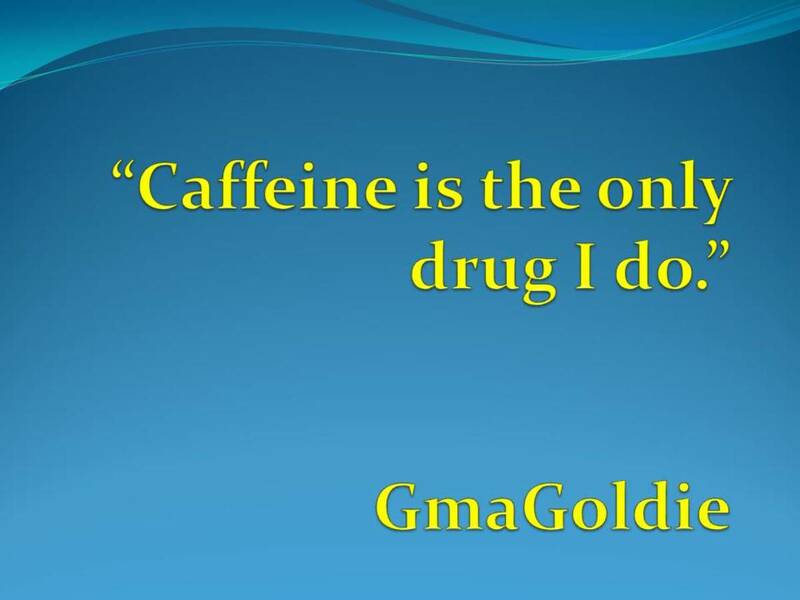 firstcookbooklady, Sadly I am addicted to caffeine. I gave it up once for 10 days and lapsed. I am considering trying this denial again - perhaps for my 2015 resolution. I am a coffee addict - the only drug I do and I need to know what I am putting into my body. I love caffeine and drink it every day in moderation. Glad the research showed - it was more than work - it was a passion of mine. Thank you so much! I really appreciate you voting my work up and sharing it! Thanks for this really great information. So much amazed with your hub and I really imagined the effort you do in research. Fantastic. Voted up and shared! Thank you for ones terrific blog post. I just will enjoy looking at extra from one from now on. I too was like you - wanted to quit. Now I limit my pleasure. Everything in moderation. I joke it is the only drug I do but it really is true but everyone needs a vice to closely monitor. Thank you so much for your kinds words - love the pun - stimulating - you are real writer! What a comprehensive, informative and stimulating article! I have tried to quit caffeine for health reasons but then gave up on quitting. Now it is just my resolution to cutting my caffeine consumption by half. I mainly just drink coffee. Maybe someday I'll quit completely! 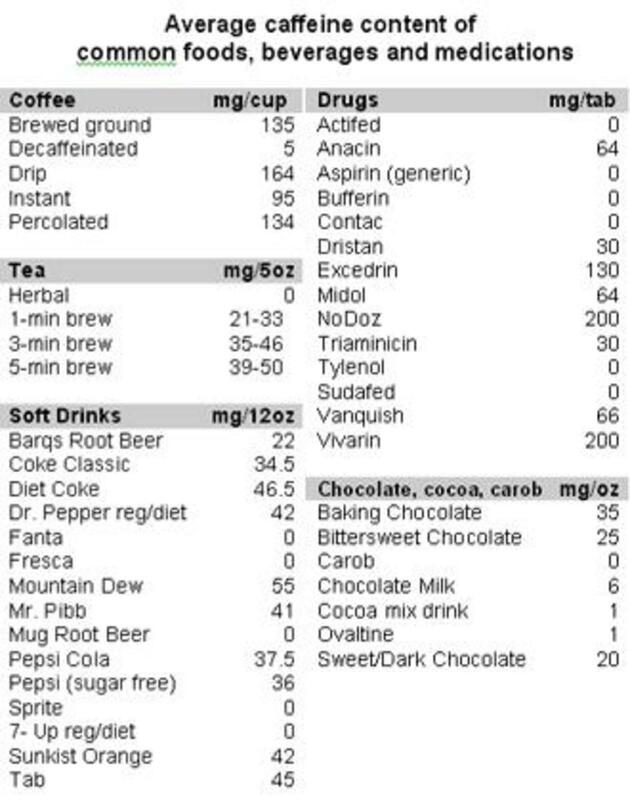 I love caffeine - the only drug I do and I wrote this so I would remind myself to moderate my intake. Off for a strong cup of coffee! Great article, it was a real eye opener. I have to admit I do take a bit of caffine before I workout for an extra boost. I think that whatever we do that is too much or excessively done can be at risk of danger, which includes coffee. You have shared important information that needs to be considered. This is a well written and useful hub. Thumbs up for you! You are absolutely correct - my body loves a little caffeine. Apart from the bad effects of ‘Caffeine’, it has at least one good affect i.e. it supplies stimulus to a tired, or an exhausted body. I clarified the answer for the pregnancy - it was misleading. I greatly appreciate your help. You are THE Green Tea-cher! The point that coffee shouldn't be drunk to excess is well made, but I'd hate to see people scared off drinking coffee altogether. What are your views on the six separate studies which show coffee slashes your risk of developing Parkinson's Disease? It now looks as though it's protective against Alzheimers and diabetes as well. Like everything, I think it all comes down to "everything in moderation". Amazing amount of information GmaGoldie! I took your test and got one answer wrong - on should one avoid caffeine in pregnancy. I answered "yes" because in my last trimester I had my first cup of coffee since I got pregnant and within a minute of swallowing a couple of mouthfuls my baby kicked so hard, he almost took my breath away. I knew instantly, he had a reaction to the caffeine. A couple more sips and I got a couple more kicks. That was it for coffee for me until after I was done breastfeeding. On the subject of caffeine and weight loss, specifically in reference to green tea, there is much research that proves the combination of caffeine, catechins and theanine does in fact promote fat loss . * Its' catechins appear to stimulate the use of fatty acids by the liver and muscle cells. * The muscles' ability to burn more fat means that glycogen (the form carbohydrates are stored for ready access in the muscle) is used up at a reduced rate. * The reduced use of glycogen suppresses lactic acid production. Lactic acid buildup is what causes sore achy muscles when you exercise. * Suppression of lactic acid buildup results in increased endurance. * Increased endurance results in the muscles ability to speed up the breakdown of fat. * Speeding up the breakdown of fat results in weight loss. * the enzyme responsible for transforming fatty acids into the form in which they can be stored in the body's fat cells. So caffeine alone is not responsible for the weight loss, but in combination with the other elements studies show that it certainly helps. Finally, I agree that there should be better government controls on the sales of caffeine in such things as energy drinks. I have seen young children buy these drinks in convenience stores and that amount of caffeine consumed by a child is simply dangerous. It is also popular among young adults to mix an energy drink with whiskey to get an "energetic" drunk. We have had young people die from this mixture because it is simply too hard on the cardiac system. Great Hub!